Why do I need an Estate Plan | Michigan Estate Planning Attorneys | Foster & Harmon P.C. An Estate Plan is important so that you, and not the Court, control your estate and the distribution of your assets upon death. A proper Estate Plan can provide you with asset management, avoidance of probate, protection of children from a prior marriage, potentially large Federal Estate tax savings, appointment of a Guardian for your minor children, and privacy of your affairs. Estate Planning is especially important in second marriages where there are children from a first marriage, so that children are not inadvertently disinherited. 1. What is Probate? Probate is the legal process by which title passes upon death when there is no other way to pass title. For example, a joint asset (such as real estate or bank accounts) passes to the surviving joint owner. Thus, Probate is not necessary. Also life insurance, annuities, or some retirement benefits pass direct to a named beneficiary, and thus Probate is not necessary. However, solely owned assets must be probated in order to have a Personal Representative sign over title or ownership to the person entitled to receive that asset. 2. What is so Bad About Probate? It can be expensive. Legal costs and administrative fees must be paid by your estate. If you own property in other states, your family could face multiple probate proceedings. Even though Michigan has simplified probate process, it still usually takes time to complete the process; usually six to twelve months, maybe longer. While probate is pending, the assets are not free for distribution without court order. If your family needs money to live on, they must request a living allowance, which is granted at the discretion of the Judge. Probate is a public process, so any "interested party" can see what you owned and who you owed. Thus there is a lack of privacy. Disgruntled heirs may contest your will. Your family has little control over the process. 3. Does a Will Avoid Probate? 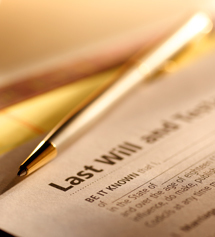 No, even with a Will, Probate may still be necessary. The factors that control whether or not probate is necessary have to do with how title is held and/or how the asset is passed upon death. The Will only directs how the assets subject to probate are distributed and to whom. 4. Does a Will Avoid taxes? No. A Will by itself does not avoid taxes. Your estate must pay an inventory fee based upon the value of your estate. 5. Why then is a Will important? Wills are the most common way for people to state their preferences about how their estates should be handled after their deaths. Many people use their Wills to distribute their property differently than how the State would require the property to be distributed if a person died without a Will. Wills are especially important if there are second marriages, disinherited heirs, instructions about care of minor children, gifts to charity, or if there is to be an uneven distribution of property upon death. A Will also allows the person drafting the Will to some control after death, by naming the Personal Representative and Guardian in the Will. While most people do not like to contemplate their mortality, many people find that great peace of mind results from putting their affairs in order. 6 What Happens if I Die Without a Will? The judge will appoint someone to be the Personal Representative of your assets; your estate will be distributed to your heirs at law; and the court may appoint a Guardian of your children, or a Conservator of their estate, if they are minors. 7. What are the Advantages of Trust? A trust is a legal entity that owns and manages assets for the grantor, or beneficiary. It is a mechanism that transfers title upon death without the need for probate. Thus, you can avoid probate with a properly funded trust. A trust can also provide for you as granter if you are disabled. Upon your death the trust can provide continued management for your beneficiaries, including children and spouses, until an age determined by you to be appropriate for an outright distribution, if at all. A trust can provide for a disabled person to protect their governmental benefits. Trusts also provide privacy of your affairs. 8. Will I lose Control of my Assets if they go in a Trust? No. As grantor, you name yourself as both Trustee and Beneficiary so that you have complete control of your assets while you are alive and able to manage your financial affairs. 9. Will I Avoid Taxes with a Trust? If your estate is currently over $2,000,000.00 and you are married, then by creating credit shelter trusts you can avoid significant Federal Estate Taxes. 10. Are there Disadvantages of Having a Trust? Not really. You must, however be careful in how you draft the trust and how you fund it to maximize your goals in creating the trust in the first place. 11. Should I hire an Estate Planning Attorney? An Estate Planning Attorney could be vital so that you, and not the Court, control your estate and the distribution of your assets upon death. An experienced Estate Planning Lawyer like, Michigan Estate Planning Attorney Cindy Harmon, can help guide you through this important process. There can, however, be disadvantages as to how you fund the trust. Having assets in your trust may help you avoid probate, but might present other problems. For example, you might not want a trust to own an IRA or retirement plan as there may be undesirable income tax consequences. Also you may not want a trust to own your primary residence, as there may be Medicaid ineligibility issues. 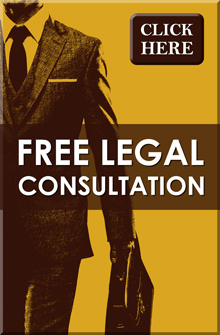 The trust itself is still beneficial, but you will want to obtain legal advice about funding. Drafting the trust document itself is not enough; making sure that you properly fund the trust is crucial. For more detailed Estate Planning information, contact us today at 517-337-4600.